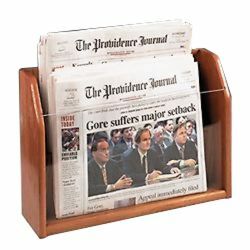 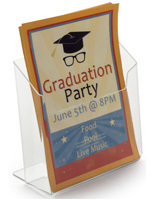 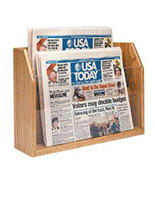 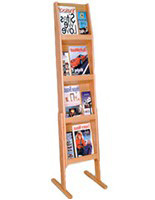 2-Tier Newspaper Holder Display - This countertop newspaper holder is built with solid oak in a medium oak finish. 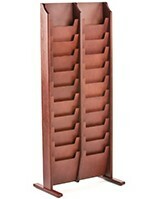 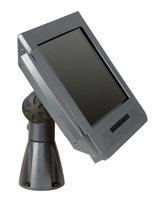 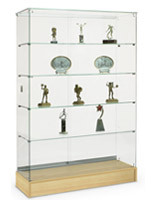 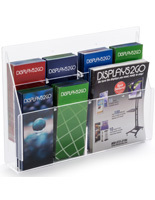 It is great as a literature holder, office product, countertop literature organizer, or as a magazine rack. 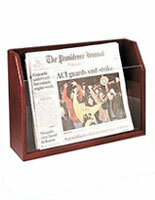 This newspaper rack has two pockets and a clear acrylic front (17-3/4"w x 12-1/2"h).